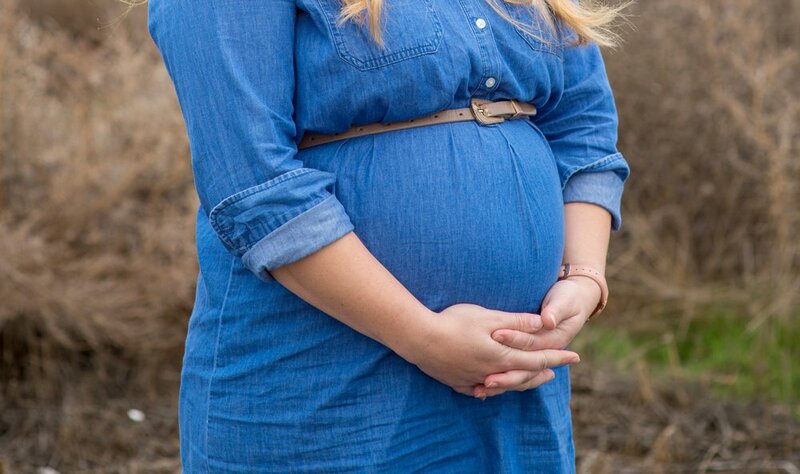 Have you considered chiropractic care for pregnancy in the TRI-CITIES? It's common for women to complain of lower back pain while pregnant. The physical stress of pregnancy can lead to a great deal of discomfort. During pregnancy, a woman’s body is undergoing a number of different changes to accommodate the growing baby. Due to the weight that is gained, a mother’s center gravity changes. It shifts to the front of her pelvis and this is not a natural position. It can result in added stress and discomfort in the lower back and various joints in the pelvis. Throughout the pregnancy, as the baby grows, the mother gains more weight and the back becomes more stressed. This causes the lordotic curvature in her low back to increase. If there has been a history of lower back problems, there is a good chance that the pregnancy will aggravate the condition. This may lead to difficulty performing daily routines and create difficulties in labor. According to the American Pregnancy Association, 50-70% of pregnant women experience lower back pain at some point. The back pain generally peaks around the third trimester because this is when the baby gains the most weight. There are many more problems that additional stress on the lower back can create such as leg cramps, abdominal cramping, constipation, and much more. The doctors of Designed Life Chiropractic have specialized training for analyzing pregnant women for nerve interference. They correct this nerve interference using a gentle and specific chiropractic technique, the Webster Technique. The Webster Chiropractic Technique is a specialized form of pregnancy-focused care that is designed to specifically address pelvic dysfunction. It seeks to correct pelvic torsion through specific and gentle adjustments to the sacral area in the second lowest spinal region. By doing so, postural issues, as well as spinal misalignments that can affect not only uterine constraint, but also be a causative factor in a number of reproductive and digestive ailments. These may often be corrected with the Webster Technique. It is most often practiced to benefit women during both pre and post-natal periods of pregnancy, to improve function, relieve pain that develops as the baby grows (placing increased pressure and constraint on the low back and pelvic regions), and give mom-to-be the best opportunity to deliver her baby as naturally and comfortably as possible. Learn more about the Webster technique on the International Chiropractic Pediatric Association (ICPA) website. Both Drs. Daniel and Mariah are certified in the Webster's technique through the ICPA. Pre-Conception, as chiropractic care can help to promote more regular menstrual cycles and increase uterine function. Pregnancy, as this will increase Mom’s balance, alignment and flexibility—three plus’s while carrying. In addition, patients who use chiropractic during pregnancy report less morning sickness, which is good for Mom, baby, and Dad! Labor and Delivery, as mothers who receive chiropractic care throughout their whole pregnancy report less traumatic births and far easier and shorter deliveries. They also report well-time contractions, which help the baby move more easily through the birth canal. If you’re having trouble conceiving, or if you just want to make sure that you have the healthiest pregnancy and birth possible, contact us at 509-579-5992 to see how else we can help you through this most precious time in your life. Chiropractic can help remedy all three of these situations before they make Mom, Dad and baby go a little, well….crazy. For the best start for you, your baby, and your family, call 509-579-5992 today. For more information please visit the ICPA website.